The Government Accountability Office has turned down MD Helicopters' protest of what the company called its exclusion from the U.S. Army Future Attack Reconnaissance Aircraft (FARA) competition. 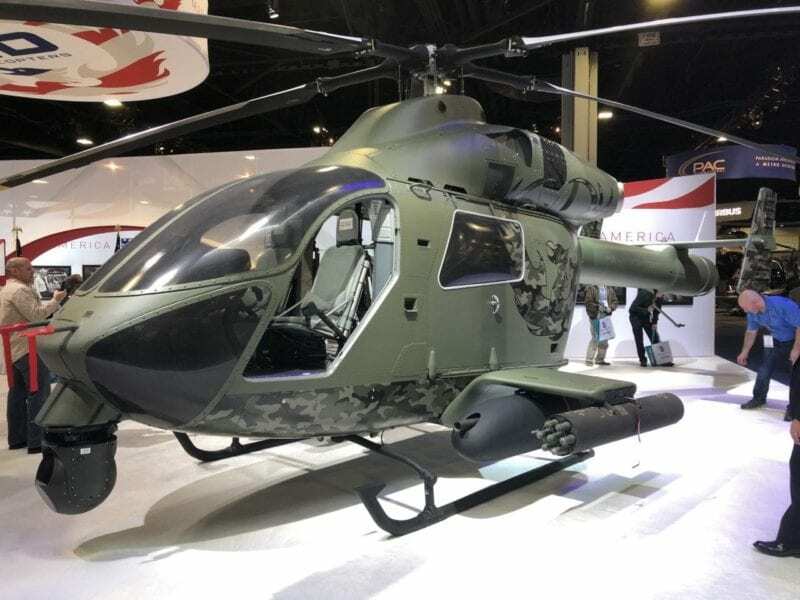 MD Helicopters said last month that it was developing the Swift, a winged variant of the 969, that would use MD's no-tail-rotor (NOTAR) technology to fly at up to 200 knots, squarely in the Army’s desired capability range. The aircraft would cruise at 160 knots and sprint at 180 knots — at the threshold speed requirement for FARA. MD said that it was working with Pratt & Whitney to increase the engine speed on the Swift. During an unveiling of the concept last month at the Heli-Expo conference in Atlanta, MD Chief Executive Lynn Tilton called the Swift "really an evolution of the NOTAR aircraft that is, start-to-finish, a brand-new design." "From scratch, completely composite, brand-new NOTAR system, and it will meet the FARA requirements of 200 knots," she said. 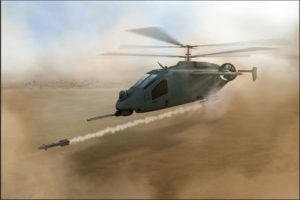 Since that unveiling, MD Helicopters protested the decision by the U.S. Army Futures Command "not to enter into a phase one other transaction agreement (OTA) ... with MD Helicopters ... for the development of a future attack reconnaissance aircraft competitive prototype," according to the GAO's rejection of the MD Helicopters' protest. 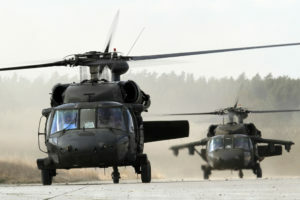 "MD Helicopters argues that the Army unreasonably evaluated its proposal, and otherwise failed to reasonably promote small business participation. ... We dismiss the protest because we do not review the award of non-procurement instruments issued under an agency’s OTA authority." An emailed statement from the Future Vertical Lift team within Army Futures Command said "the MD Helicopters protest was pre-award and is a matter of public record. ... No FARA prototype contracts have been awarded as of today, April 8th." GAO said that "absent any allegation by MD Helicopters that the Army is improperly using its statutory OTA authority to acquire goods or services that should be acquired via a procurement contract, we have no jurisdiction over its protest." 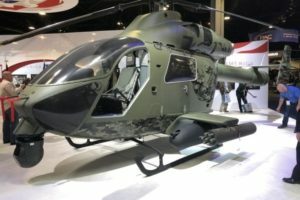 Bell, an AVX/L3 team, Airbus and Sikorsky are competing to build the Army’s new FARA platform, which the service describes as a “knife fighter” helicopter that will fill the gap left by retiring the OH-58D Kiowa Warrior. The GAO rejection of the MD Helicopters' FARA protest may refocus the company on its existing work for U.S. Special Operations Command. 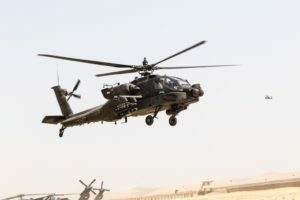 The company builds several military aircraft for the U.S. and foreign allies and partner nations, including the AH-6 Little Bird for U.S. Special Operations Command. MD has said that it plans to an FAA type certification for the Genesys Aerosystems glass cockpit in the military variant of the 902 Explorer, which is designated the 969 Combat Explorer, by the end of this year. That will give MD three in-production military helicopters: the 530F Cayuse Warrior with a gross takeoff weight of 3,750 pounds, the 530G with a takeoff weight of 3,950 pounds and the twin-engine 969 with 6,770 pounds of payload capacity at an empty gross weight of 3,350 pounds.